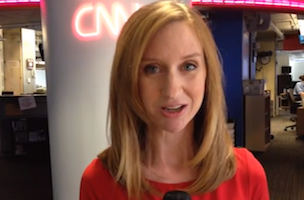 “PBS NewsHour” executive producer Sara Just today announced the hire of Lisa Desjardins as a politics reporter and editor for the nightly news magazine with Gewn Ifill and Judy Woodruff. Desjardins was most recently a Capitol Hill reporter and correspondent for CNN and prior to that was with the Associated Press and Reuters. She currently serves as an executive board member of the Capitol Hill Radio and TV Correspondents Association and is also the organization’s former chair. Desjardins starts Monday, October 13.